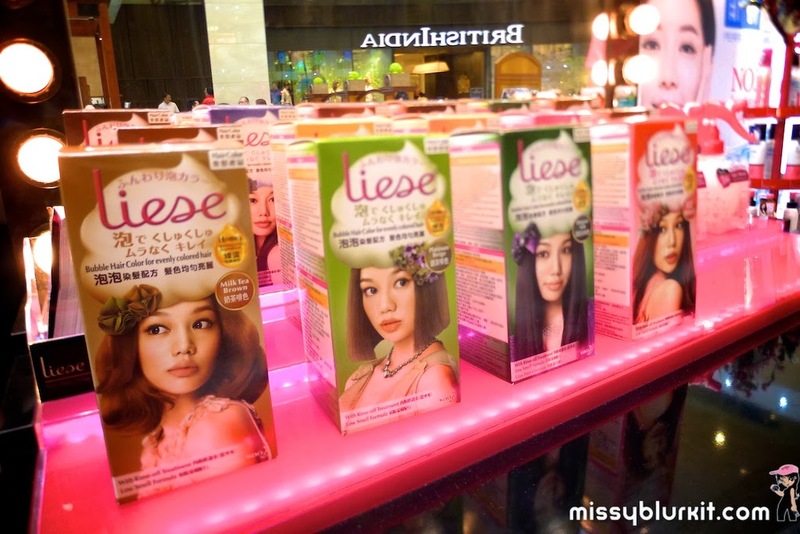 Love Japanese cosmetics? 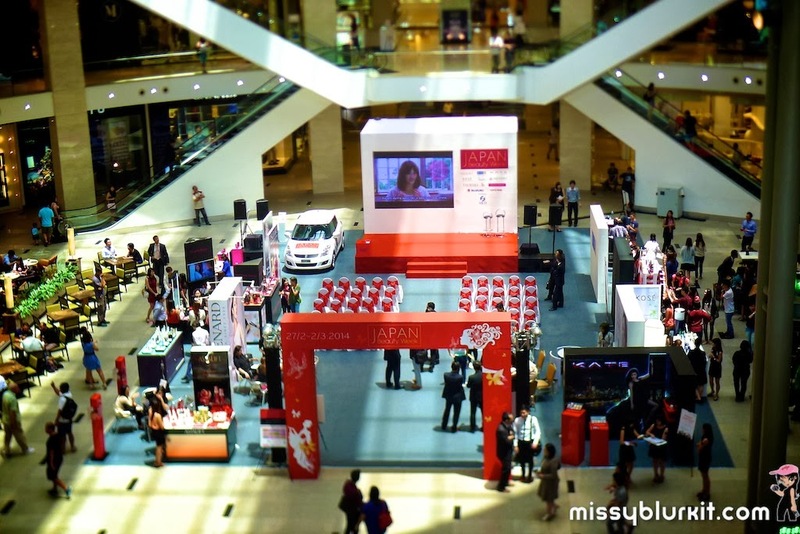 Then head down to Pavilion KL to check out the Japanese cosmetic offerings at the Japan Beauty Week. 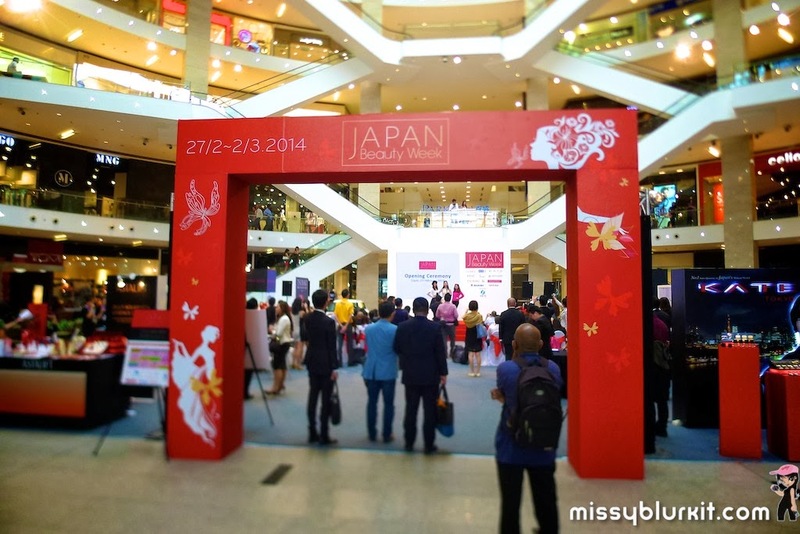 Happening from 27 February to 2 March 2014, the Japan Beauty Week will see many interesting activities, makeovers, lucky draws and goodies to be given away. 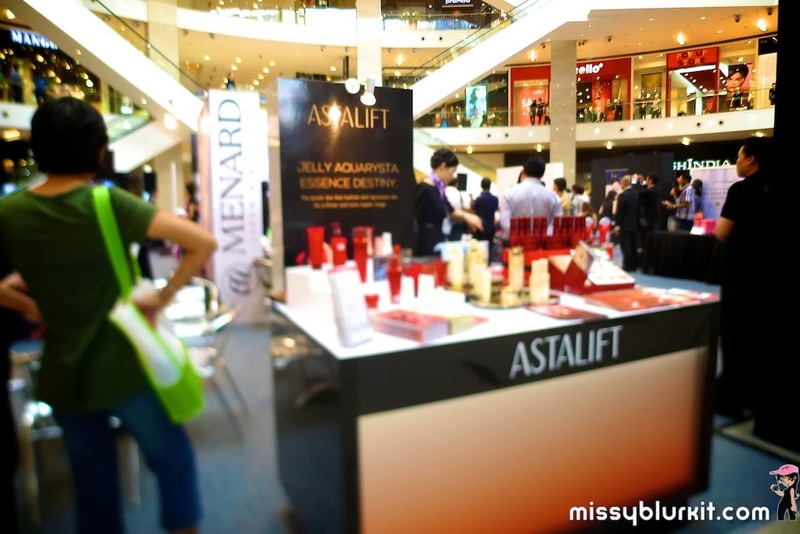 Participating brands include Kate, Kose, Tsubaki, Za, Hada Labo, Astalift, Menard, Liese & Panasonic Beauty. 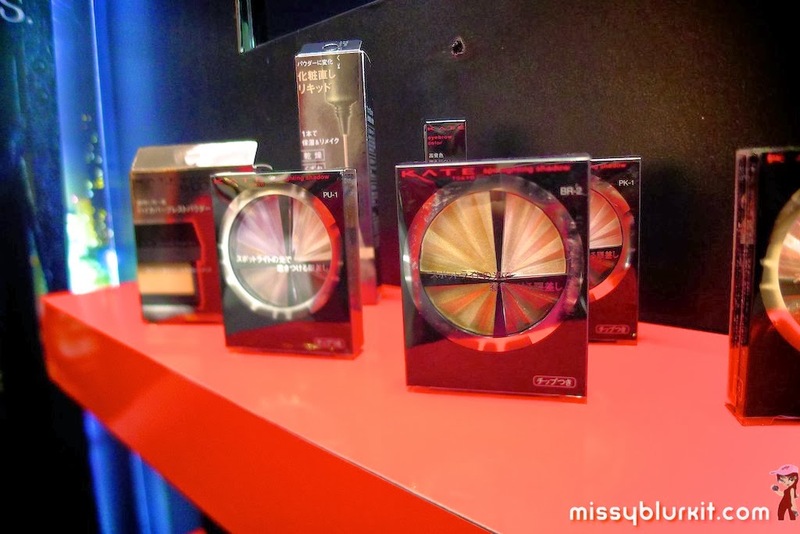 Plenty of samples to be given away by participating brands. 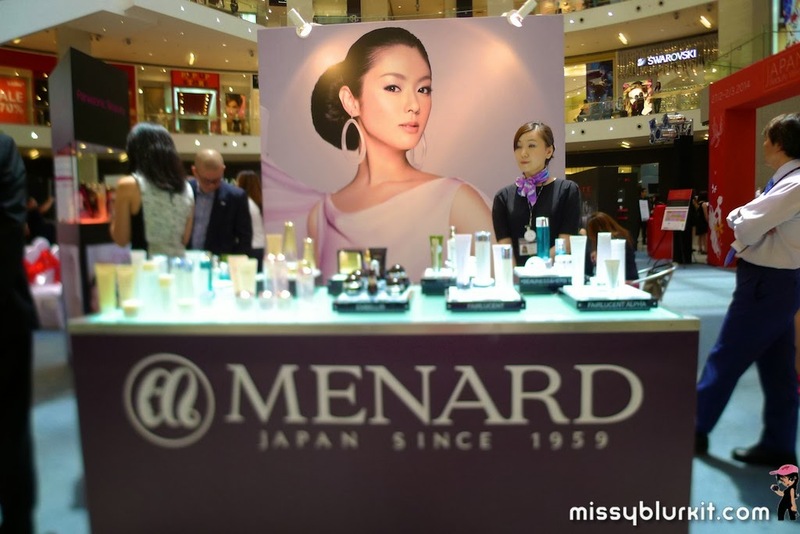 And if you are wondering why Japanese women often look younger, then head on to the Japan Beauty Week at Pavilion KL and check out the Japanese beauty products. 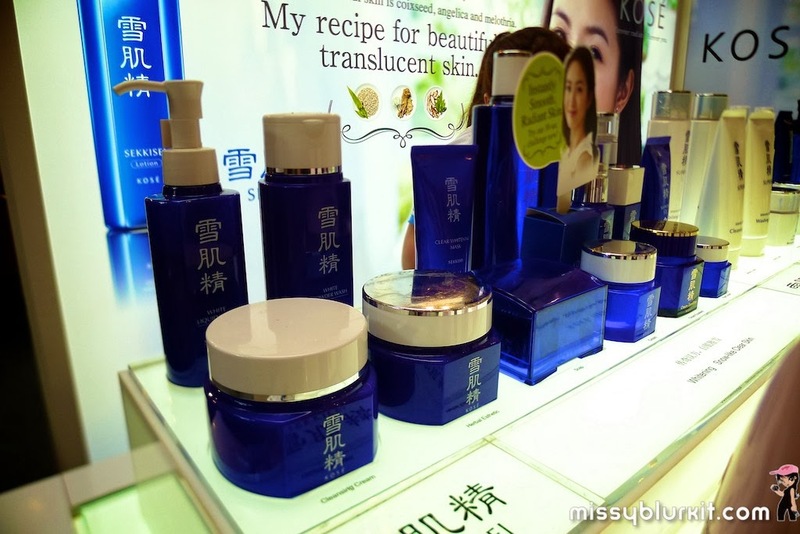 You might just find your fountain of youth there! 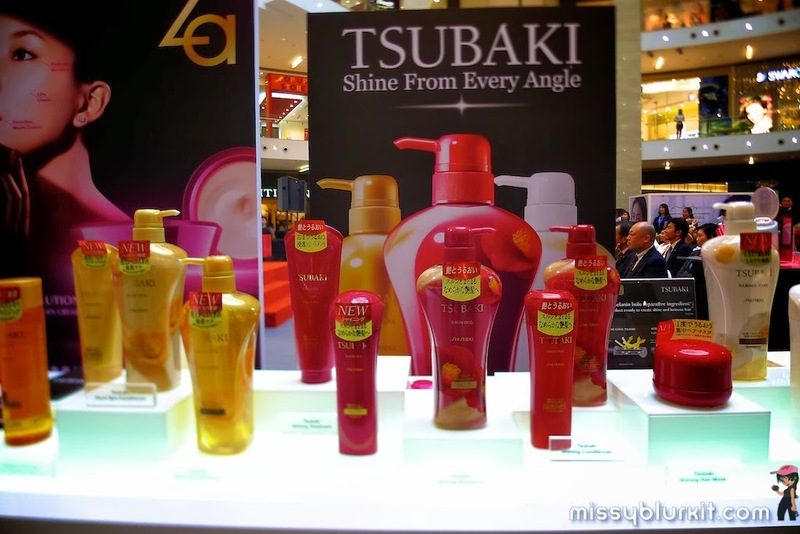 More pics in the Facebook album Japan Beauty Week. Do also head on over to the following channels to stalk me for more daily updates! Its the end of my #28DaysFIX Challenge. Being underweight, I am not undertaking the challenge to shave off any more weight. Instead I am looking to be more fit and toned. I am still not as toned as I would love to be but yes, there has been an overall improvement that I am quite pleased over a short 4 weeks. Nothing out of the ordinary happened or changed in my lifestyle. I ate clean as much as I could and pretty much ran to stay fit. 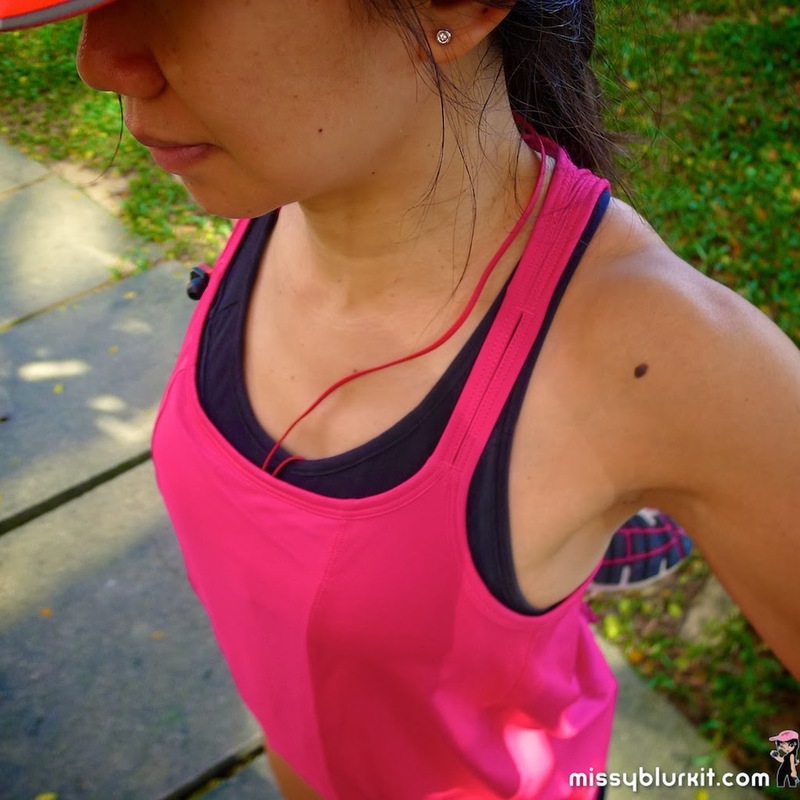 Wore my Vero sports bra from Moving Comfort for Neubodi Active range to give me the support. 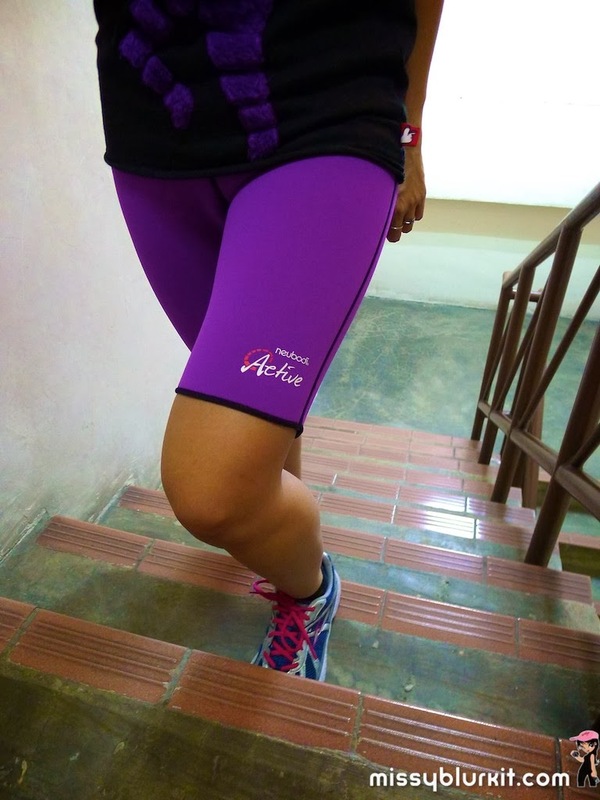 For shorter runs (5km or less) and strengthening workouts, I wore my Neubodi Active Haute Slim Capri. Eating clean is simple for me. While I cannot avoid meals outside during my working hours, the least I could do is to kick start each morning with a fruits and vegie smoothie. 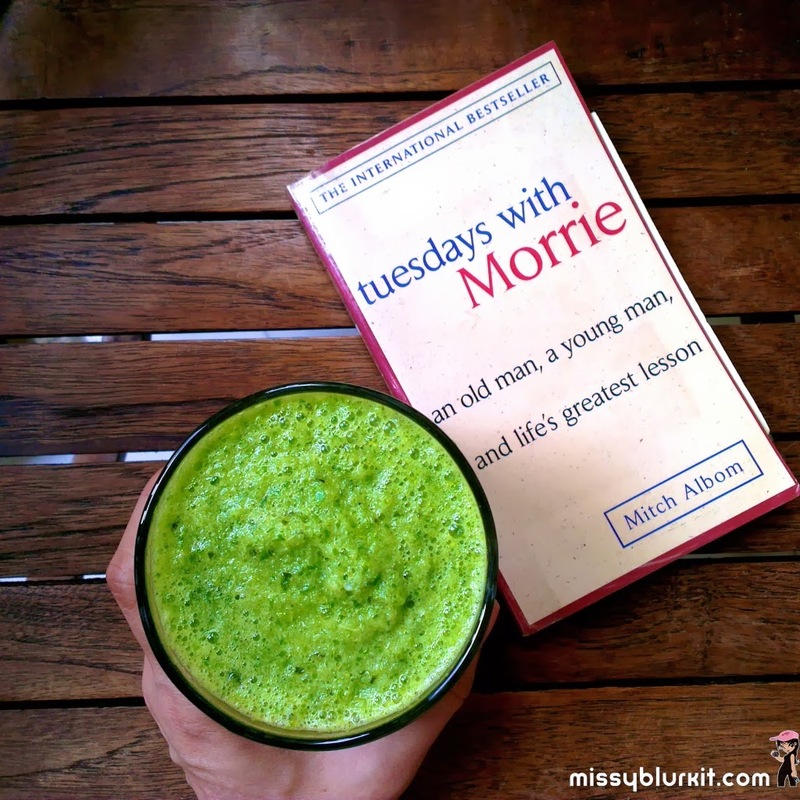 No hard and fast rule of what goes into each morning's smoothie. 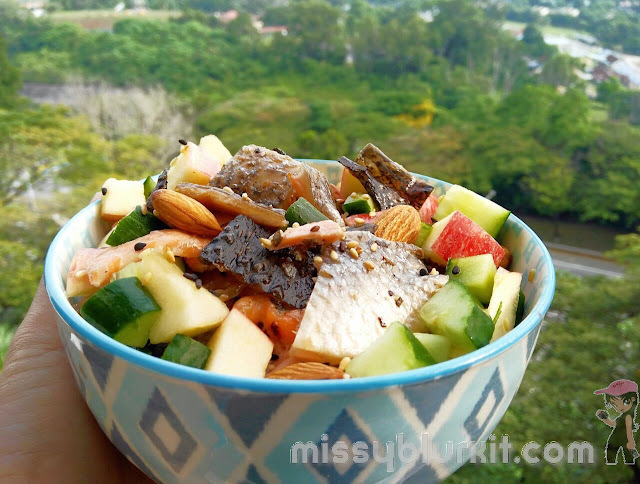 No time is a lousy excuse because it takes less than 10 minutes each day to chop up my choice fruits or vegie and then let the food processor do its job. In each cup is loads of vitamins, anti oxidants and plenty of fibre! 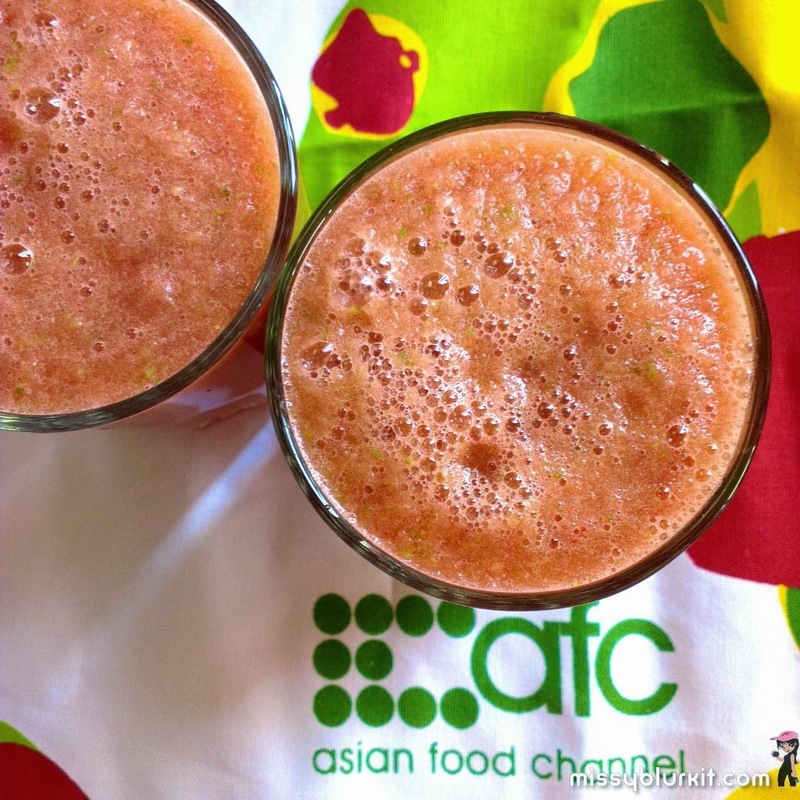 Concoction of pineapple, watermelon and celery. Packed with vitamins and helps to reduce water retention. 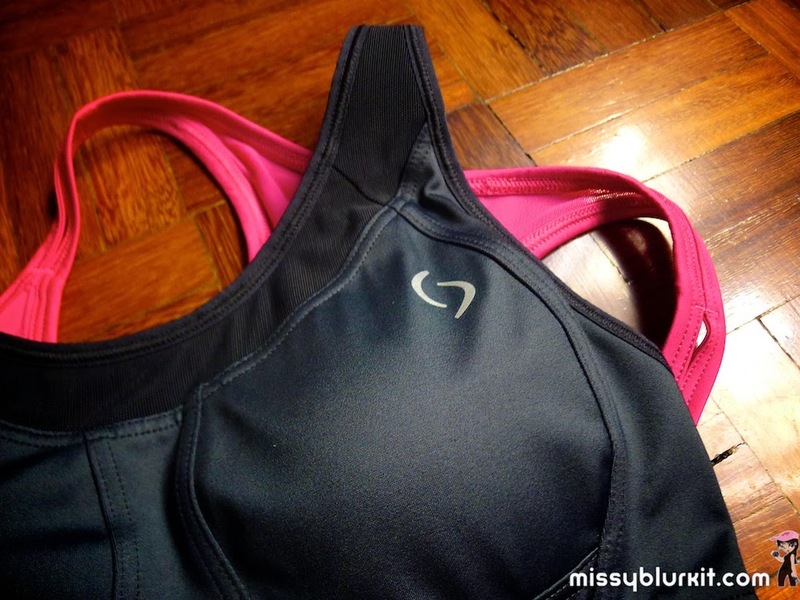 After the 28 days, I must say that my Vero sports bra actually gave me the support I needed. While I am not voluptuous, any unnecessary movement in the boobies departments is certainly not welcomed because it will hamper my running posture and speed. 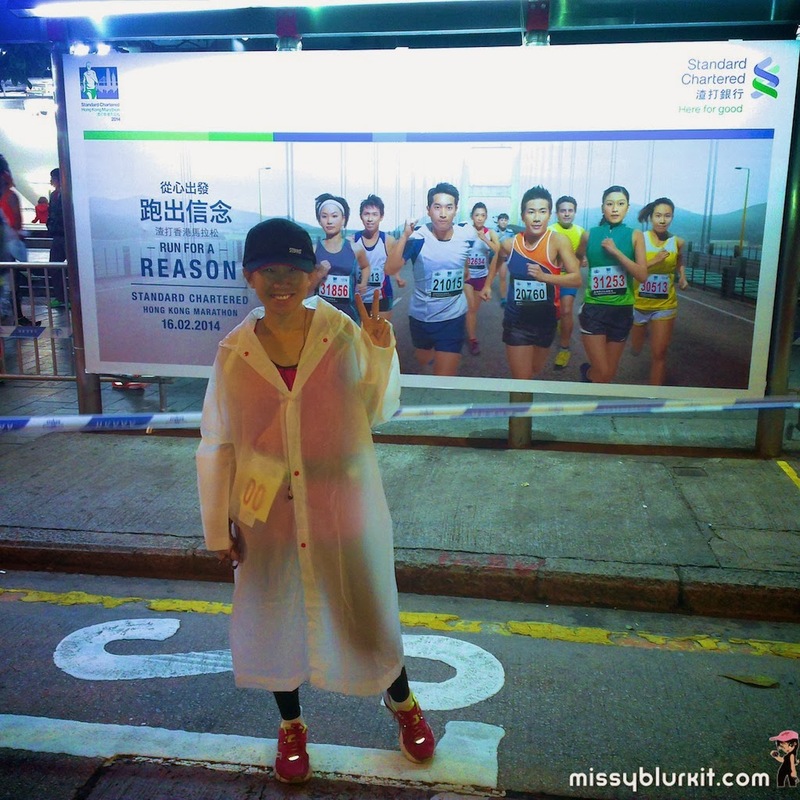 The greatest challenge that the Vero went through was to support me for my recent marathon in Hong Kong. Ran all 42.195km and I survived the run without any chaffing whatsoever unlike my virgin full marathon during RJM that left me with a few chaffs. 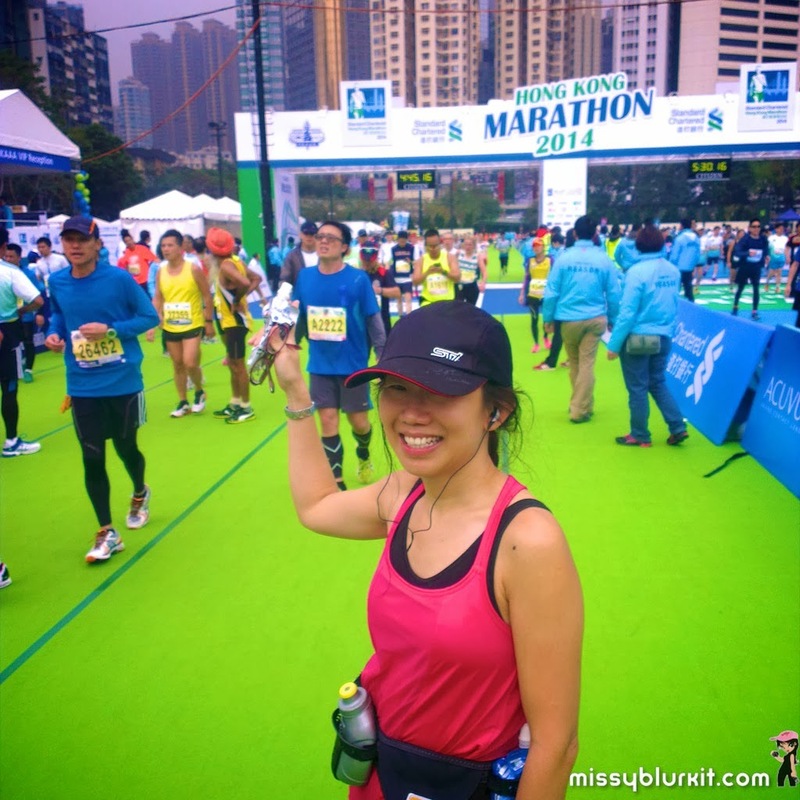 A few elements went into my best run ever (click to read about my marathon in Hong Kong) and I must say that wearing the right sports bra and in this case the Neubodi Vero certainly made a difference. Its a love hate relationship with the Neubodi Active Haute Slim Capri. Love it because wearing it makes me sweat so much. A good detox with each workout even if its short strengthening sessions at the gym or home. Hate it because it makes a swishy sound when i legs rub against each other But having said that, plugging my ears with music will get rid of that sound. What matters most is that I a good sweat every time I wear it. And with the good sweat and drinking plenty of water after workout, I can feel an overall improvement in my water retention problem. While I still have some cellulite, I noted that the tummy is definitely flatter and best of all, the skin is rather clear over the 4 weeks even though I have not been sleeping as much as I should. The #28DaysFIX challenge is over but I am certainly feeling good! Of course I will be continuing with my healthy endeavour. Why? Because I want to be able to enjoy life and that is only possible if I stay fit and healthy. Plus, I really don't want to put into practice the second part of the wedding vows "for worse"...pity the hubster if he has to take care of a sick or weak wife! Full set of pics from this post in on my Facebook album #28DaysFIX. Do also stalk and show me some love on the following social channels. Another coffee spot springs out. No complains if the place serves good coffee. 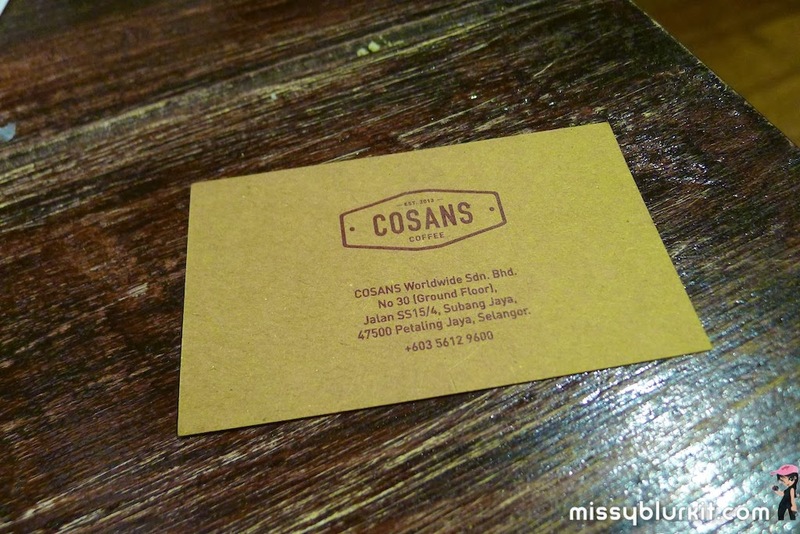 And Cosans Coffee is one of them that makes its way to one of our faves when we are in Subang (a place we are spending quite a bit of time these days for work). Place is cozy and comfortable. 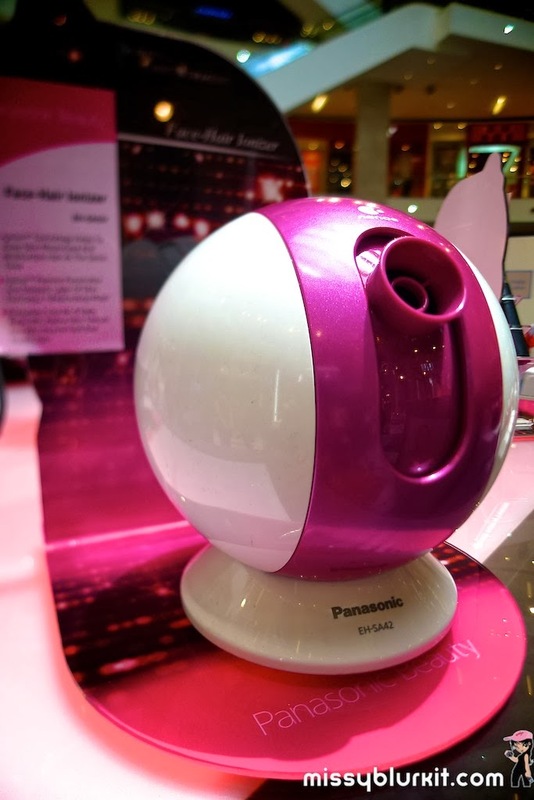 Perfect for lil chats and having a good book for company while enjoying your your choice of drink. Not checked out the tea but for tea buffs, there's also tea for you. I was told by friends that the Banoffee pie is amazing. 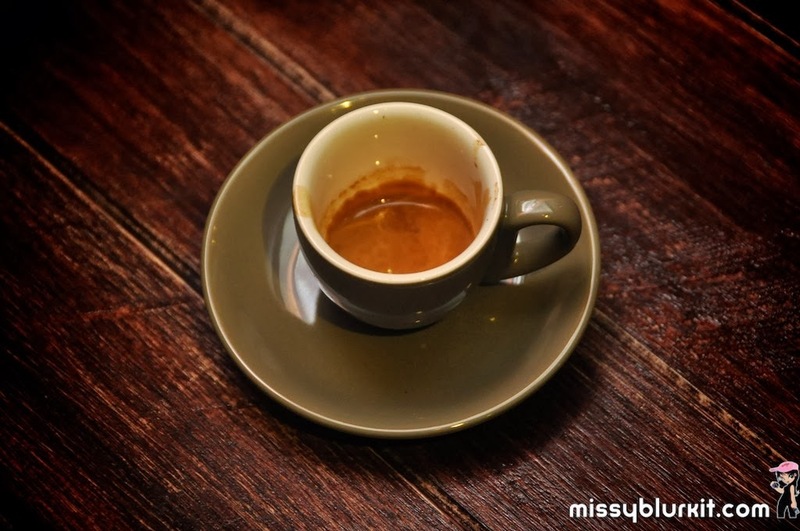 I am no coffee snob but yes I love my espresso. Choose from Equerre or Carreau. Equerre is a house blend of Brazil, Colombia, Guatemala and Mandheling resulting in a chocolate nutty taste. My preference is for Carreau for its complexity and lingering fruitiness. 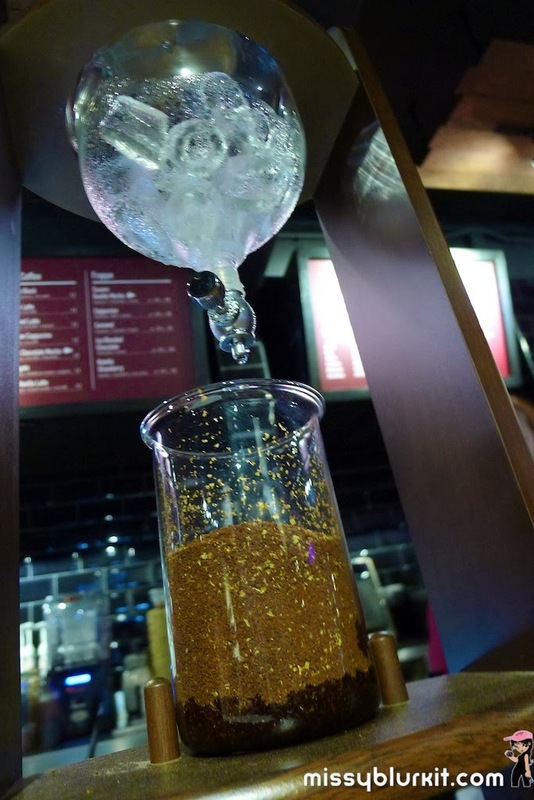 A highly recommended must have in Cosans will be the cold drip. The cold drip takes time so be patient. 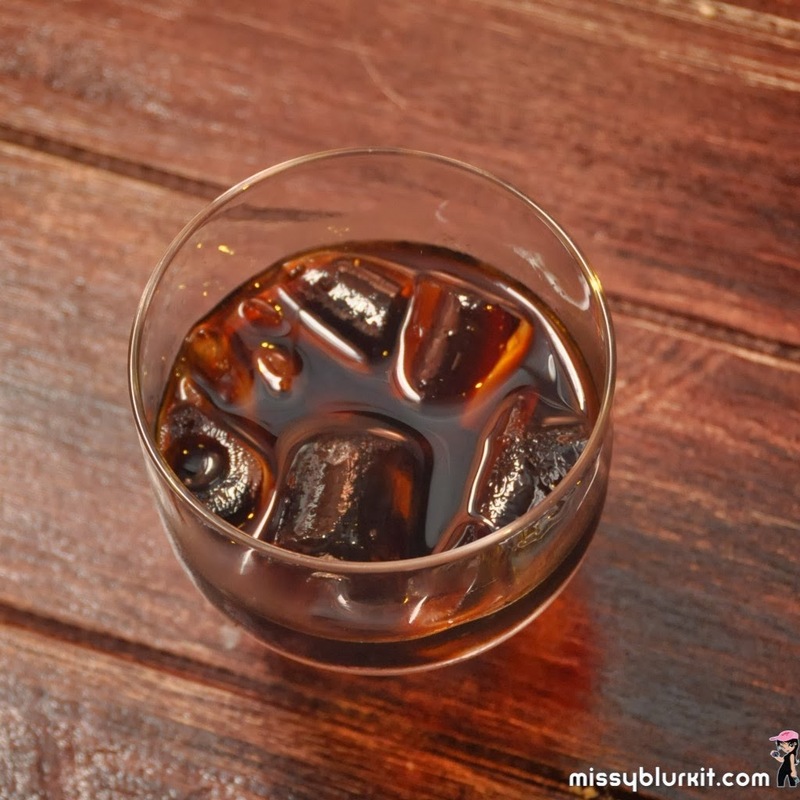 the cold drip or cold brew must not be mistaken for an iced coffee! Cold drip coffee has lower acidity and will result in a different profile compared to a regular brew. 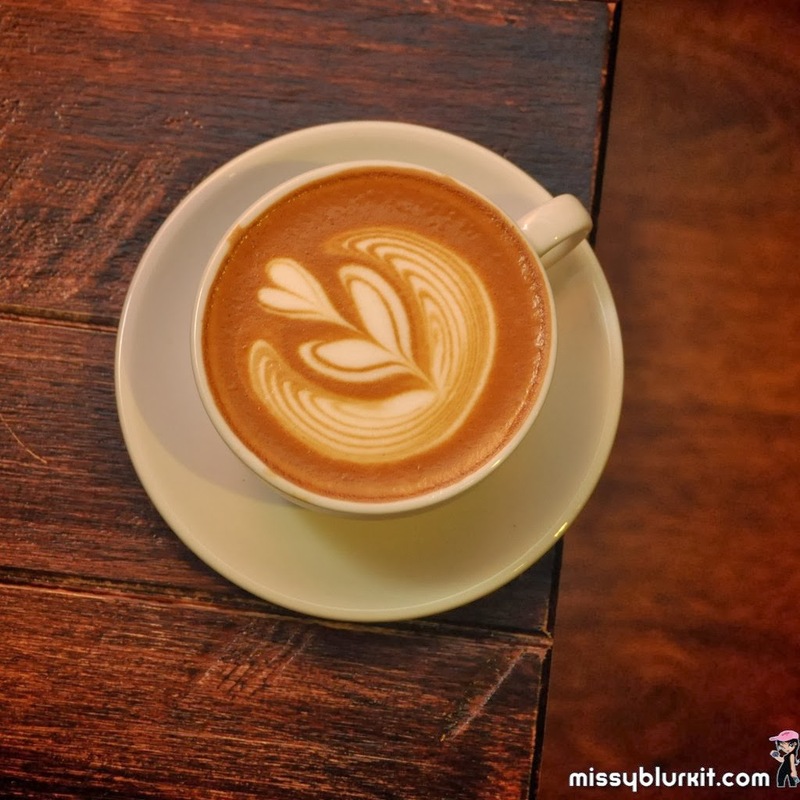 For those who love a milky touch to their coffee, the latte and flat white experience at Cosans has been pleasant enough. 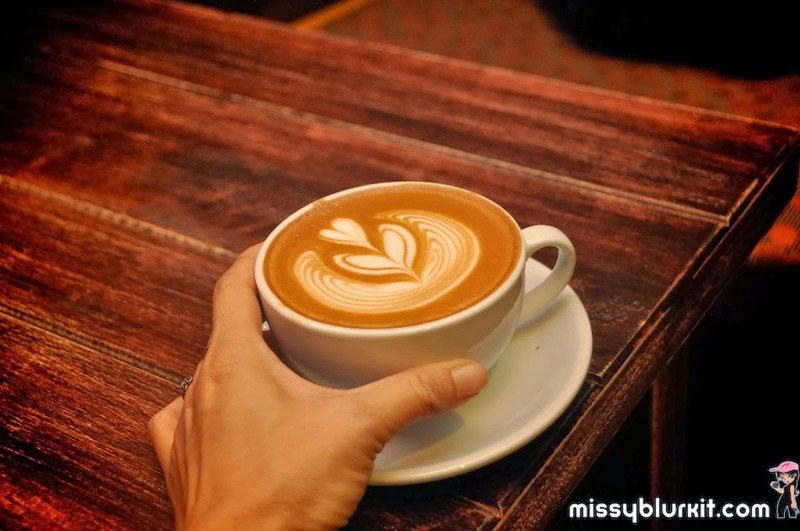 Love the fact that the flat white and latte experience could be differentiated (many places . 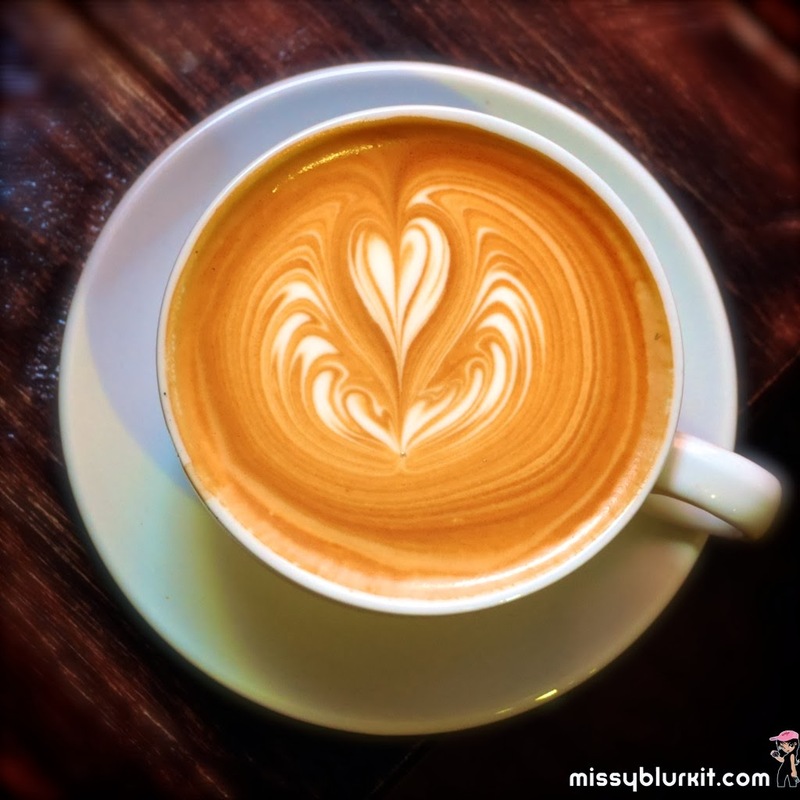 The latte for the hubster had a milky consistency till the last drop with the foam only on the top. The flat white has nice mouth of foam and milk till the last drop...almost velvety! There are cakes and sandwiches to fill you tummies too if you need some food. 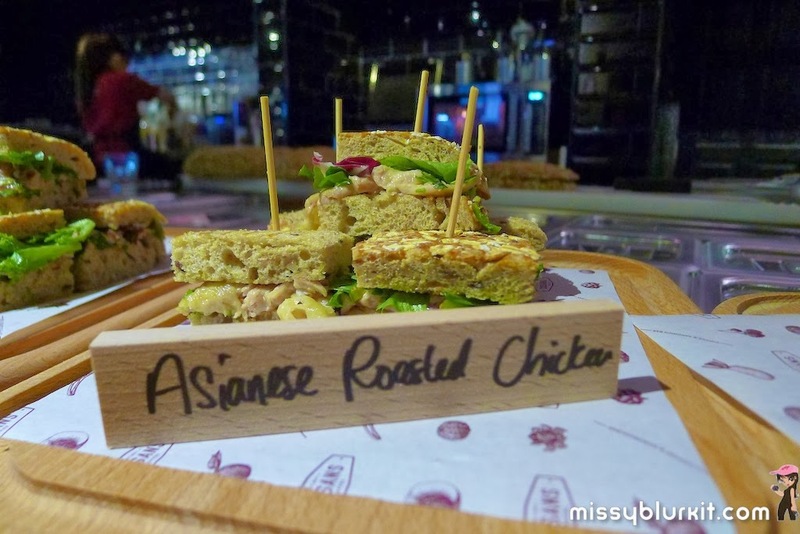 Not tried the desserts but the sandwiches are an interesting lot including smoked duck, roasted chicken and more. 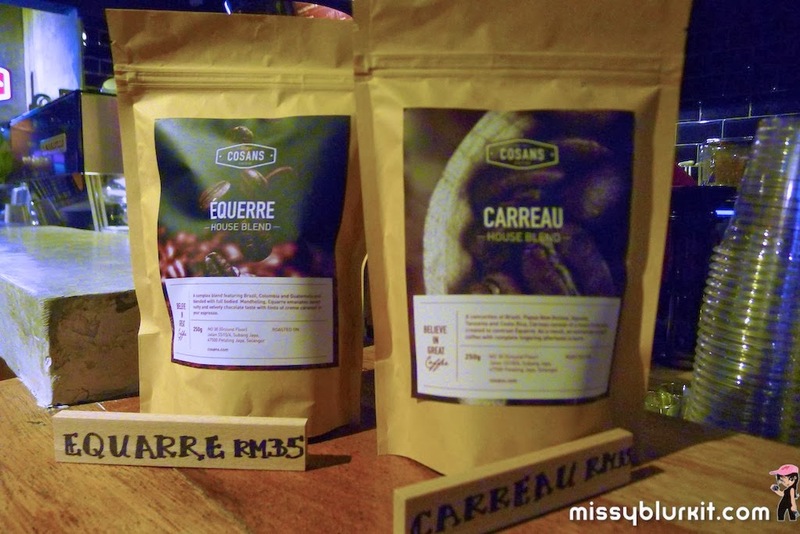 More pics in the Facebook album Cosans Coffee. Do also head on over to the following channels to stalk me for more daily updates! 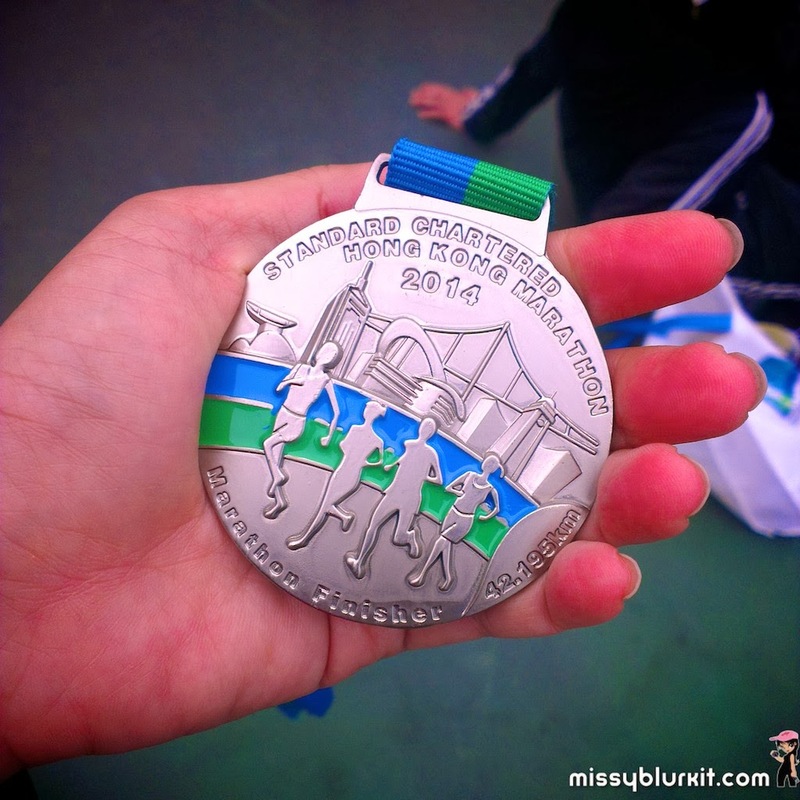 And finally I completed the SCHKM 2014 in Hong Kong. 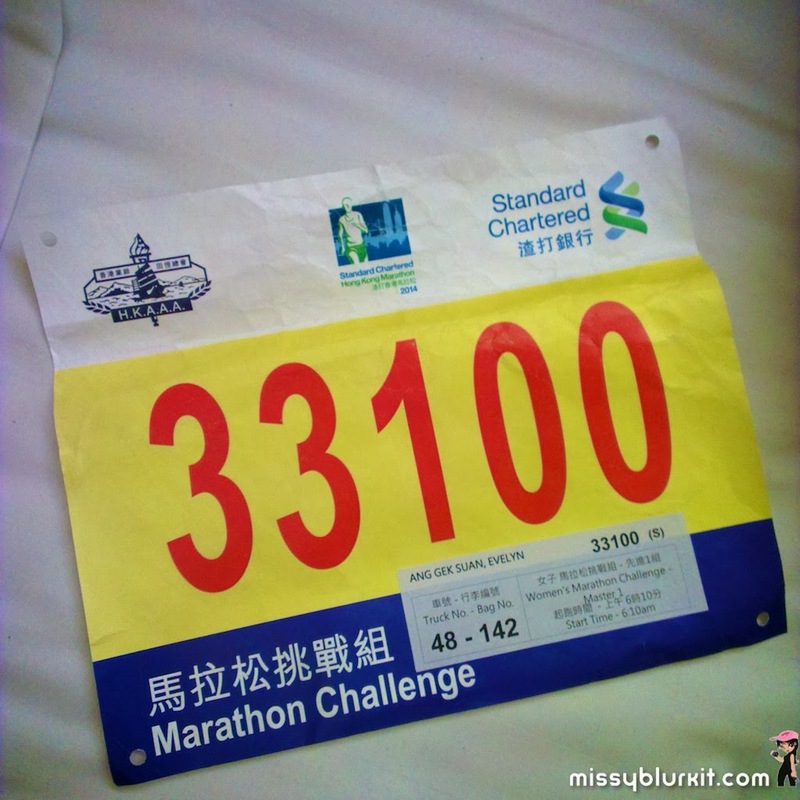 Being my very first International marathon, I was extremely excited as the hours approached my flag off at 6:10am on Sunday 16 February 2014. 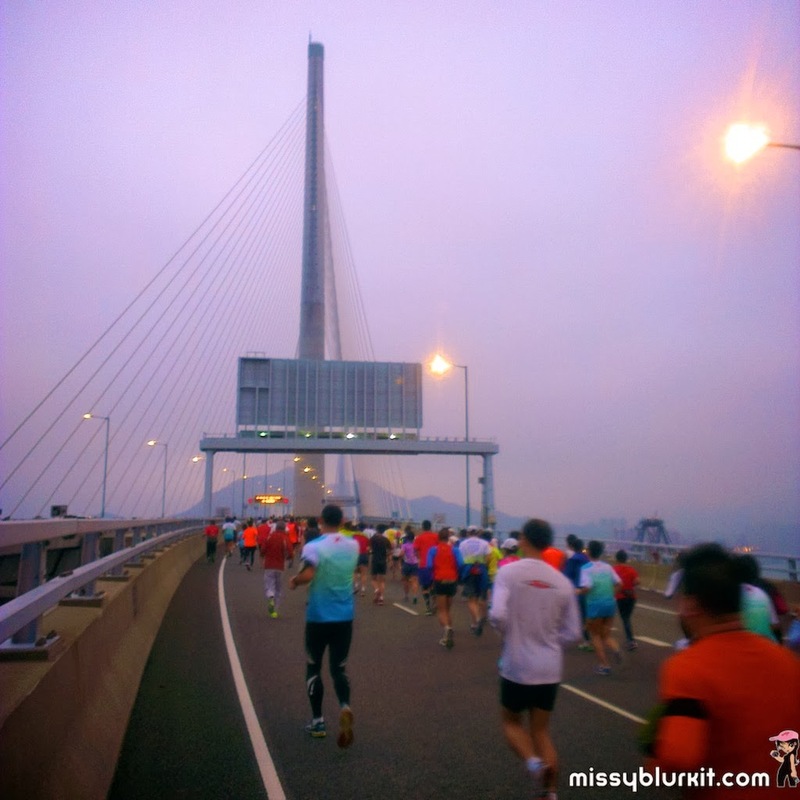 It has been such an amazing experience of running and seeing Hong Kong that I know I will definitely want to return to Hong Kong to run again. 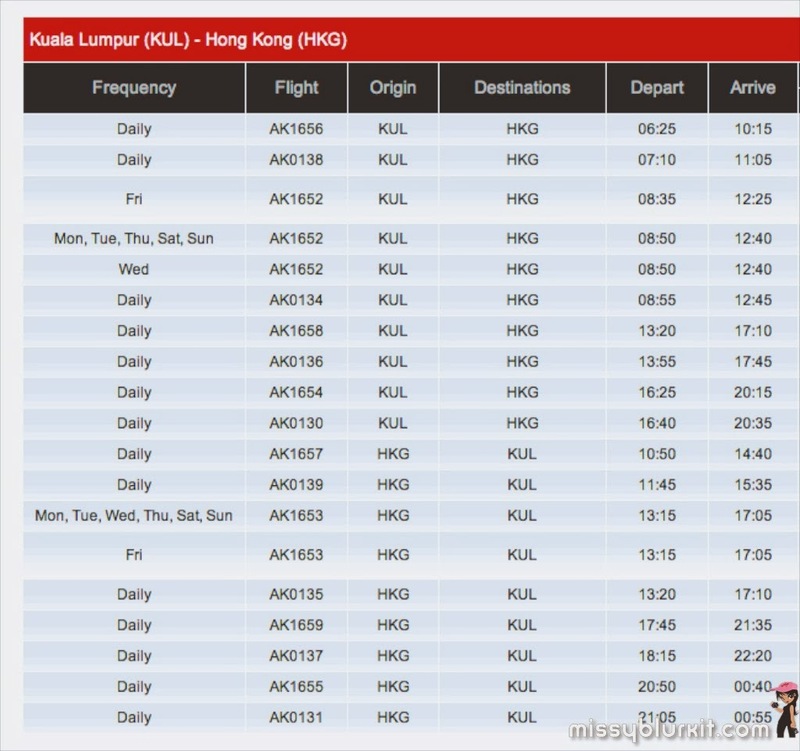 There are 4 daily flights from Kuala Lumpur to Hong Kong (28 flights each week). 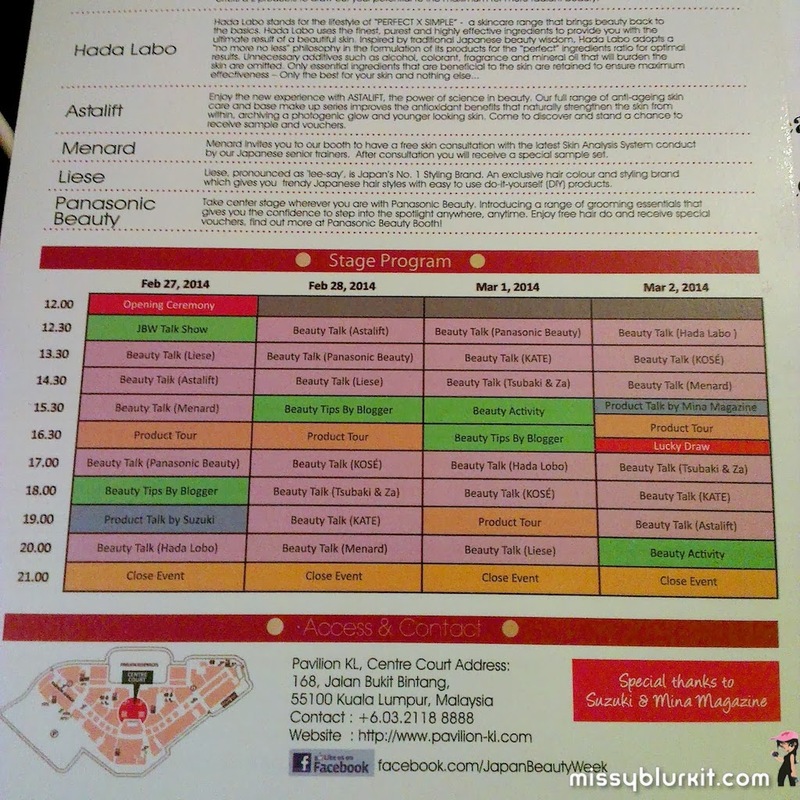 For my East Malaysian pals, there are 2 daily flights from Kota Kinabalu to Hong Kong. 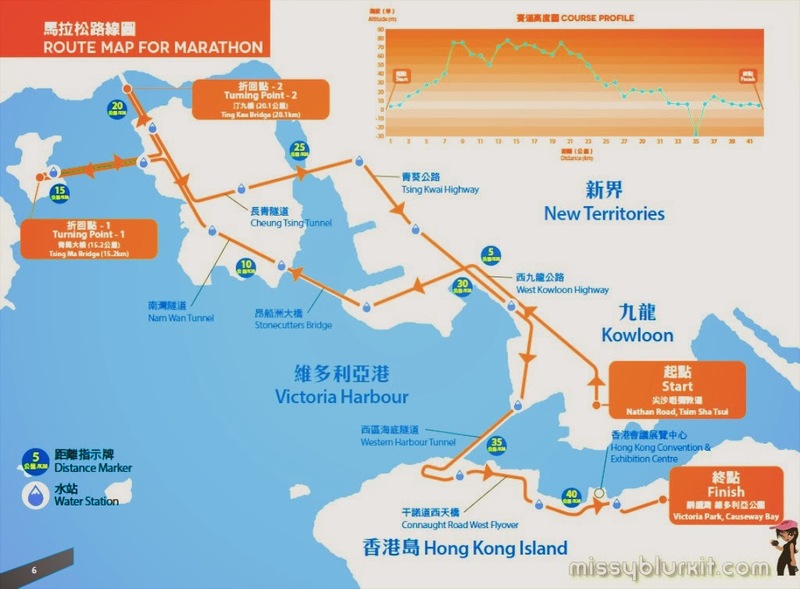 So the game plan is next year to fly into Hong Kong a little earlier rather than on the eve of the race so I can explore the food and shopping scene in colourful Hong Kong. The weather was hovering 14-16°C during the days I was in Hong Kong. With some wind here and there, the real feel was almost 12°C. But it has proven to be my kind of weather because the Malaysian humidity and weather makes it quite miserable for me during my training. 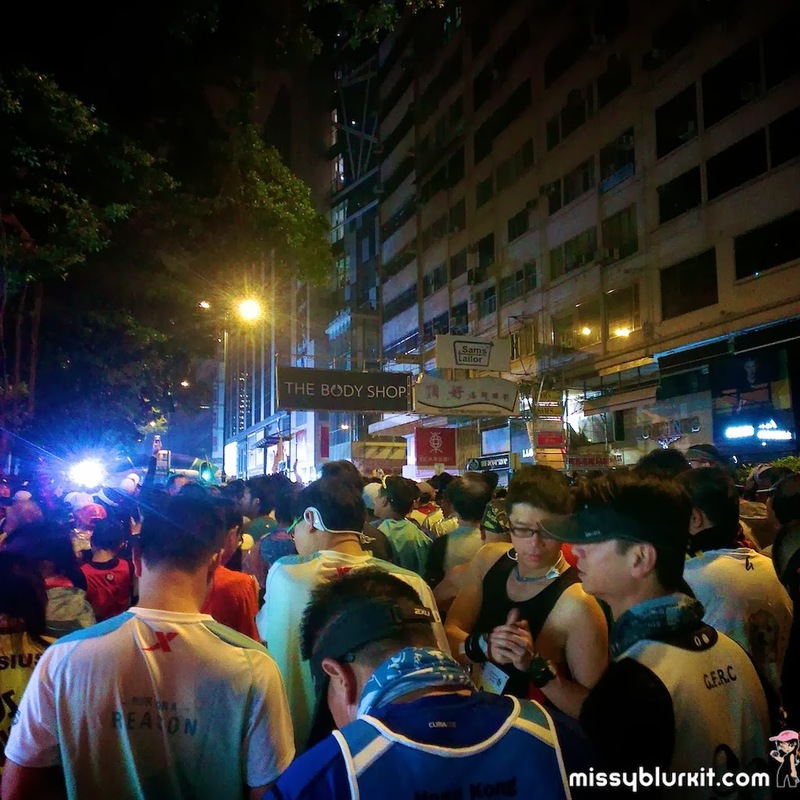 Here's a little summary from my race day with some pics of my own (my mobile phone was draining fast) and also from fellow runner Lim Chiau Wu. Went ahead with my game play to run in my usual training outfits in Malaysia with the addition of a rain coat to shield me from the wind while waiting for the race to start. 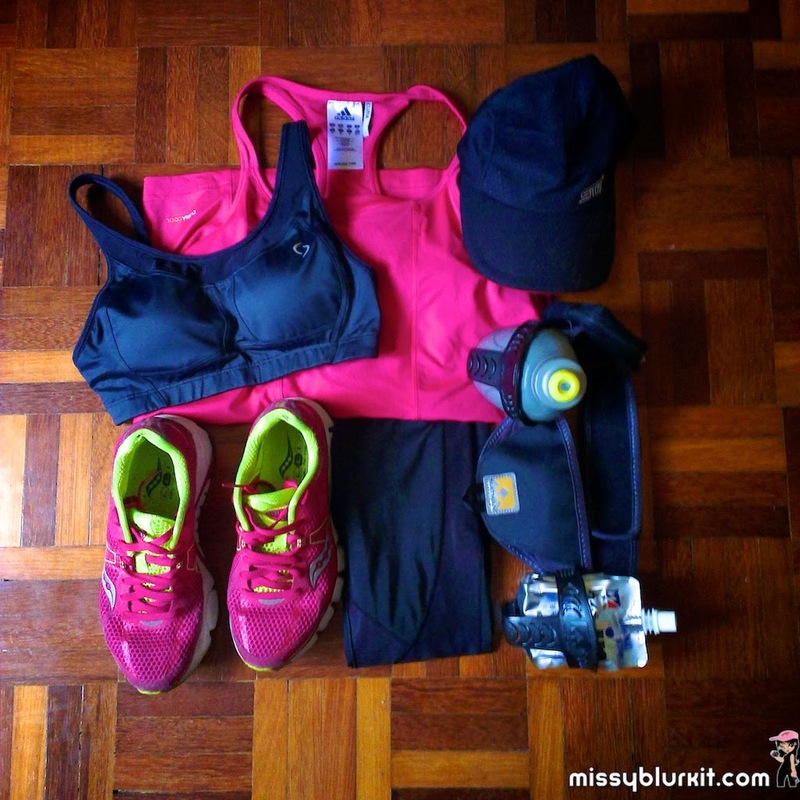 Saucony Mirage 3 trainers, CW-X compression tights, my fave pink Adidas top, Newton Hydration belt, Neubodi Vero Sports Bra and Subaru STI cap. My emergency pack of Weirder Energy Gel came in handy because there was no chocolates at the 25km and 30km water point. 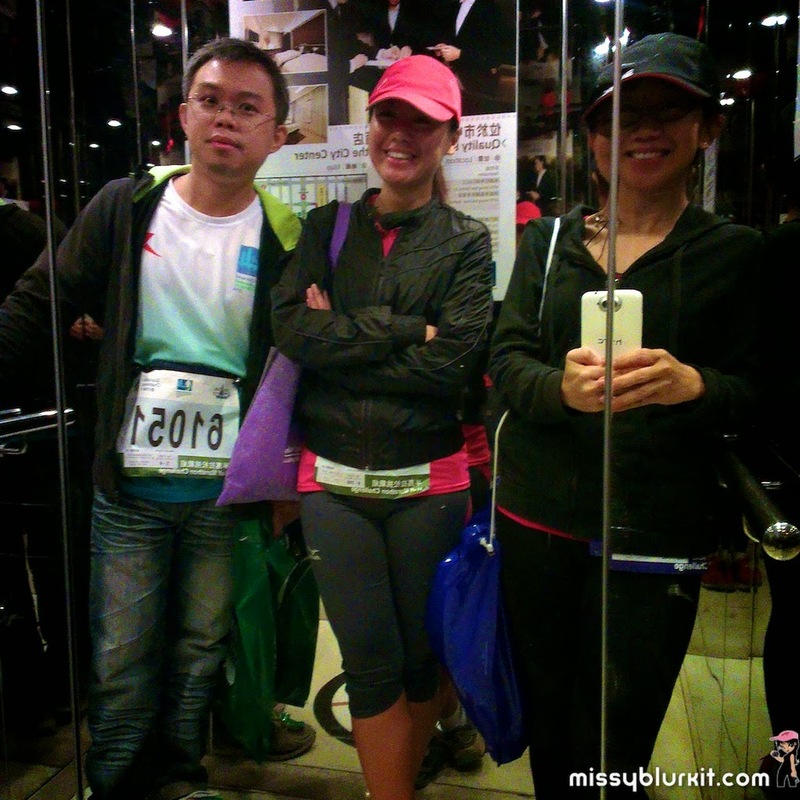 That's me, Wai Ling and Hiew having a fun selfie before we walked to the starting point. Hahaha a selfie at 430am in the lift is good fun! The baggage system during the SCHKM is really properly thought and executed. We deposit our stuff according to our truck numbers and when we collect them post race, we just head on to our respective collection lanes based on our truck numbers. 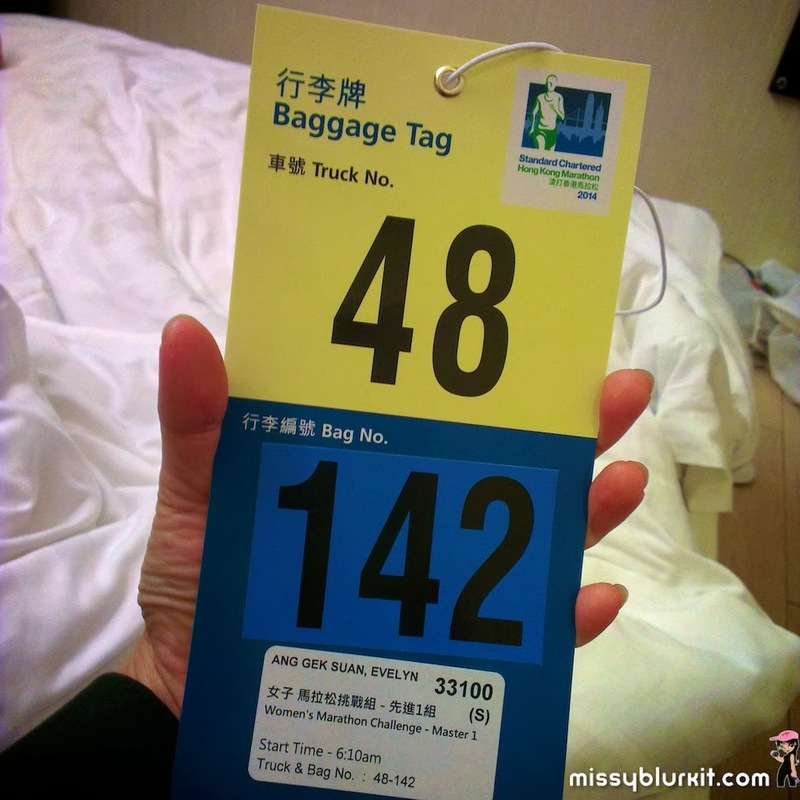 The same info on the baggage tag is also on my running bib so I don't have to carry additional IDs. The route and elevation. 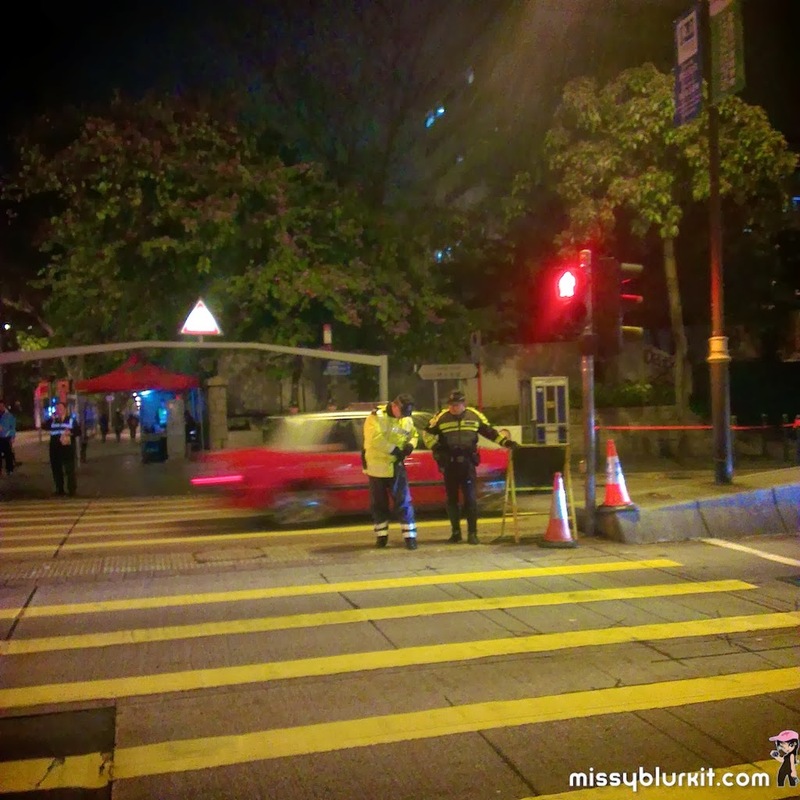 Feels really good to know that the roads are closed for my to have my sightseeing tour of Hong Kong! 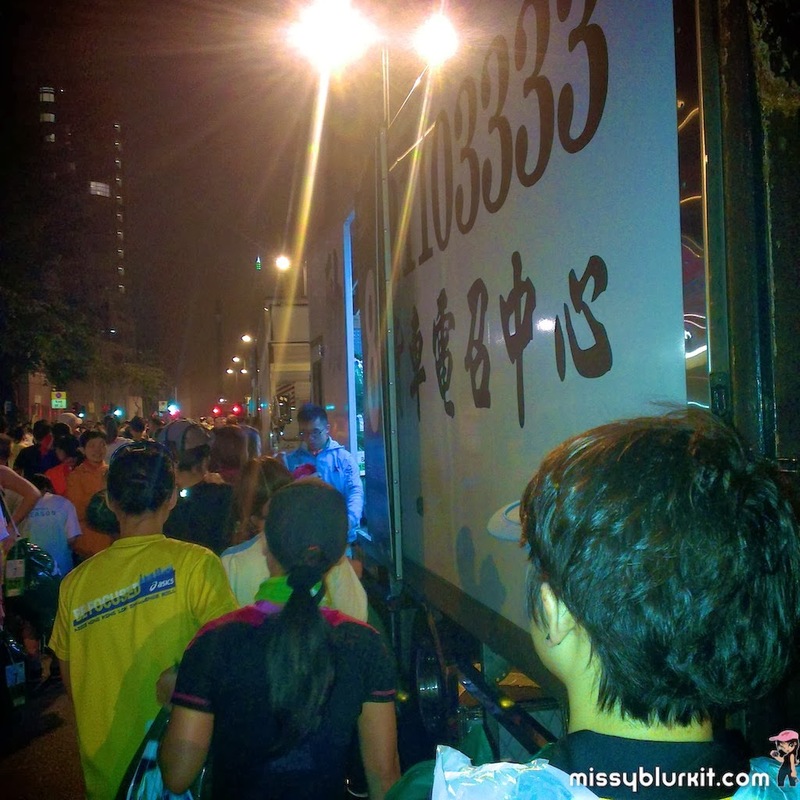 A cool and safe walk from my home for 3 days Pop Hotel in Mongkok to the starting line. Approximately 17 minutes slow walk and it was a good warm up for me. and had to snap a pic from the pavement. A long but fast moving queue to deposit our baggages. Donned a rain coat with front buttons so that I can take it off easily. Turned out I took it off 3 minutes before I was flagged off because I was sufficiently warmed up from the walk from my hotel and some easy on the spot warmups that I did while awaiting flag off. 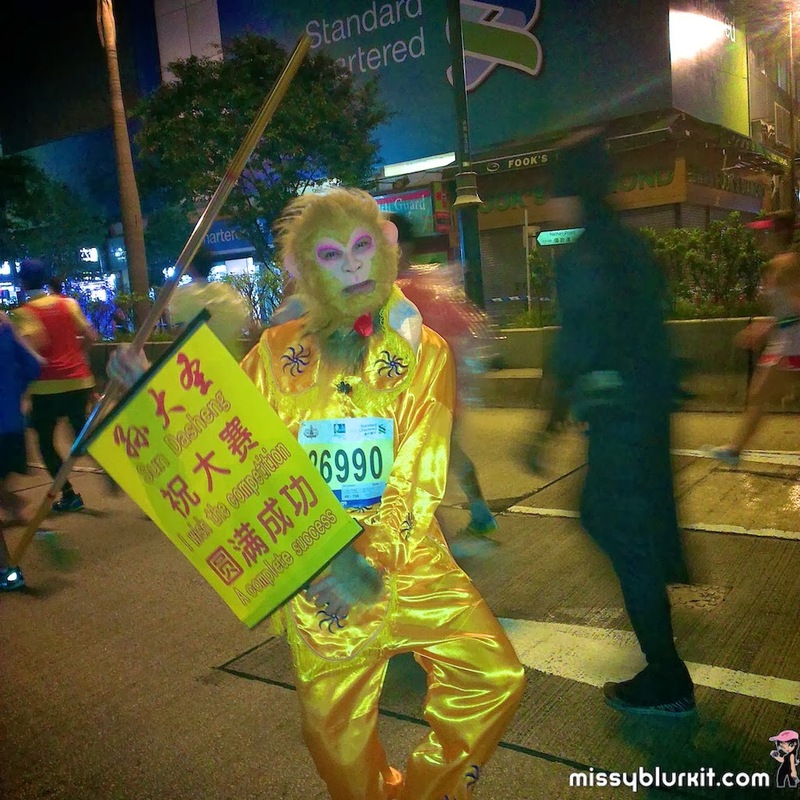 One of the many interesting characters that I met during the race. 3 minutes to start time. I am in a sea of runners. 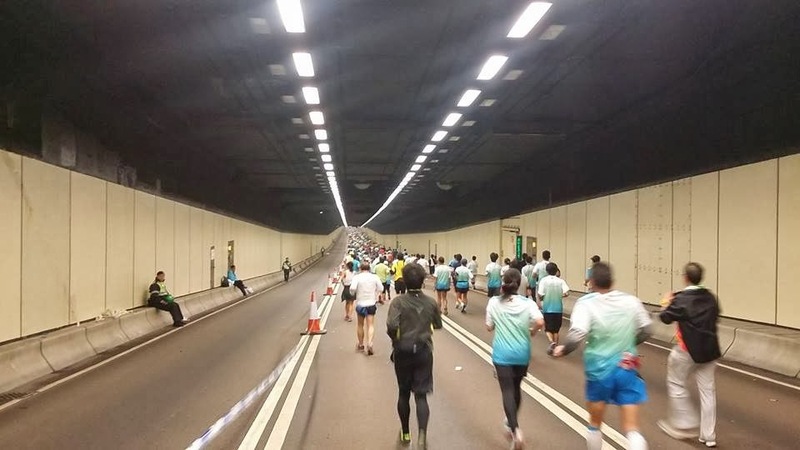 One of the many tunnels. Air is fresh inside the tunnels! 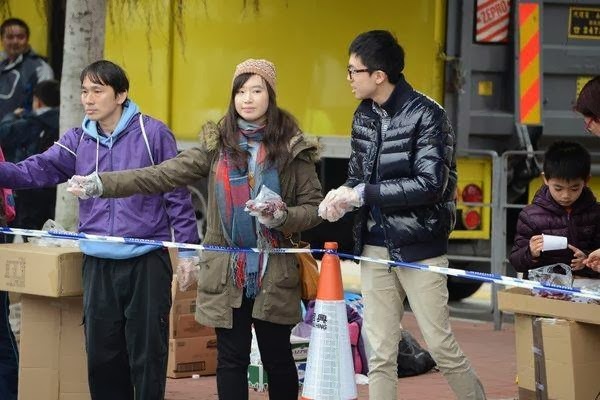 I was starving at this point because I didn't get any chocolates at the water points. I don't consume bananas during runs so these chocolates and sweet grapes handled out by non official volunteers at the last 2km of the race was a welcome. A run through the city. This I think is the last 1km. I crossed the line. 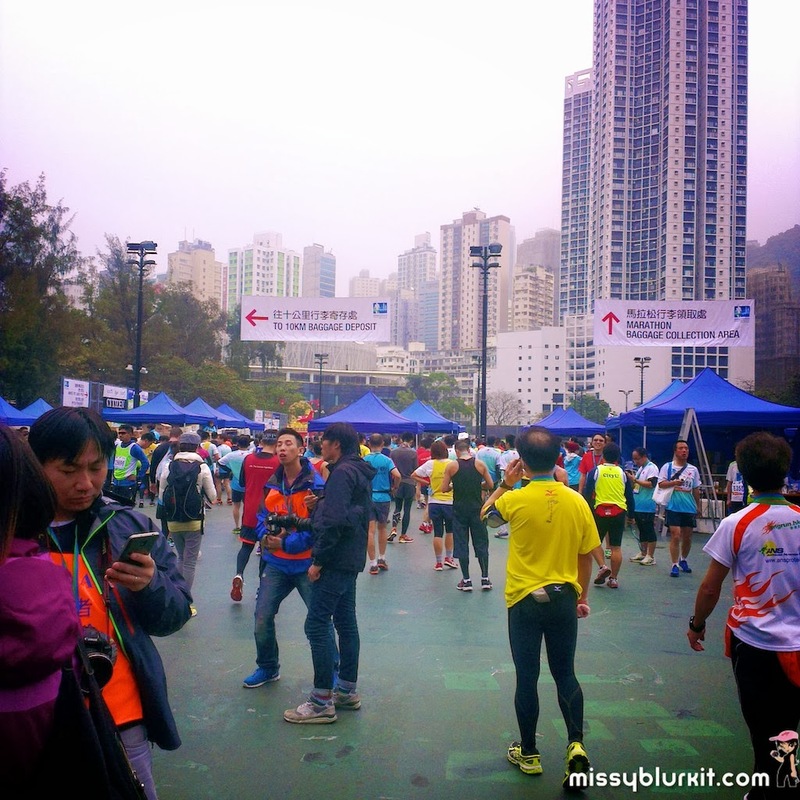 A whole 42.195km of running through Hong Kong! Time to collect my baggage. Everything is clearly marked. 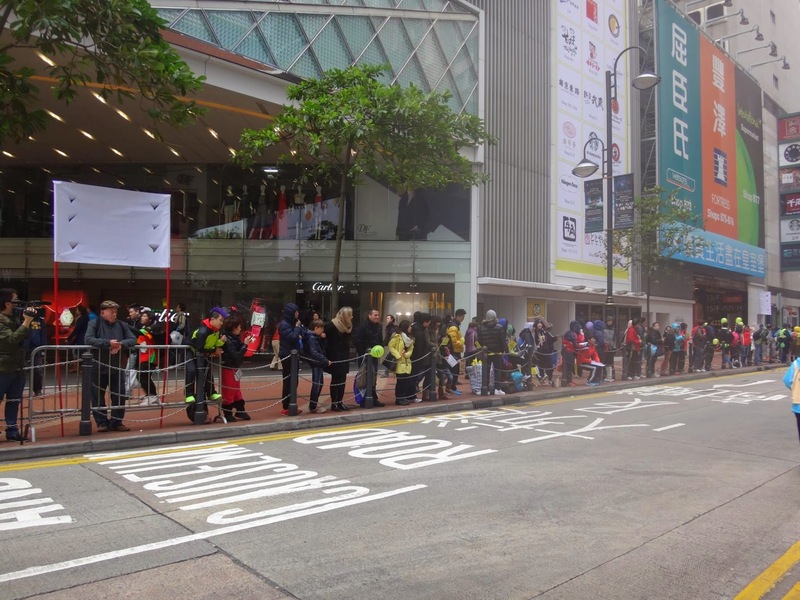 Good job SCHKM organiser! Our finisher goodie bag. 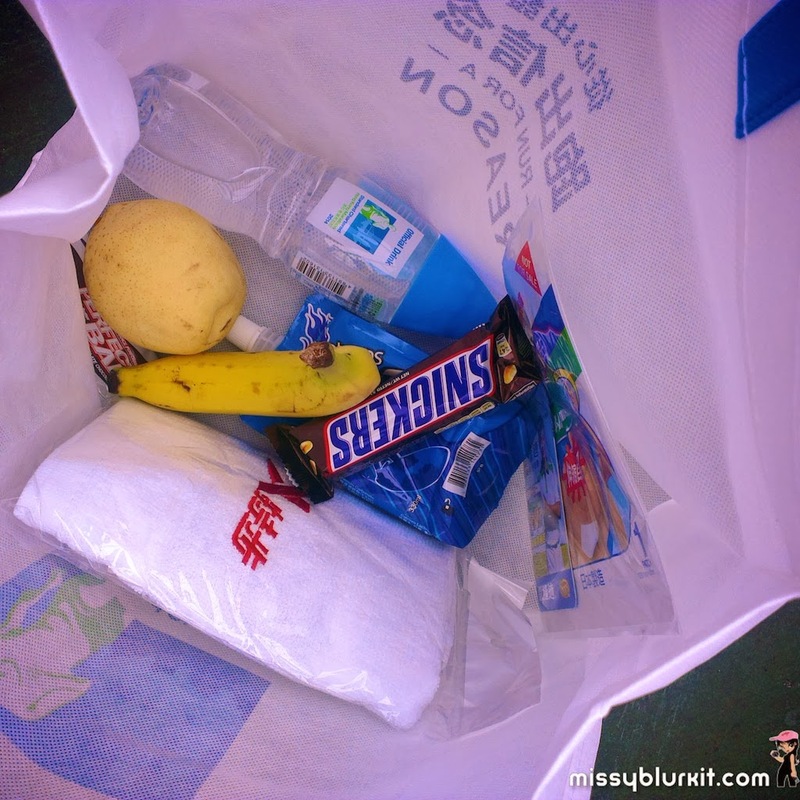 Very well thought and my fave was the bottle of water, juicy pear and Snickers bar. Its kinda hard work for this medal. Training and some disciplined change to my lifestyle 2 weeks prior to the race. Was totally happy to see Yum in Hong Kong. He plays quite a role in getting me started on running way in 2010 when I ran in the Nike 10 10 10. All this while I have been following his overseas runs and am glad that I am running in the same race as he is (finally). Official results! 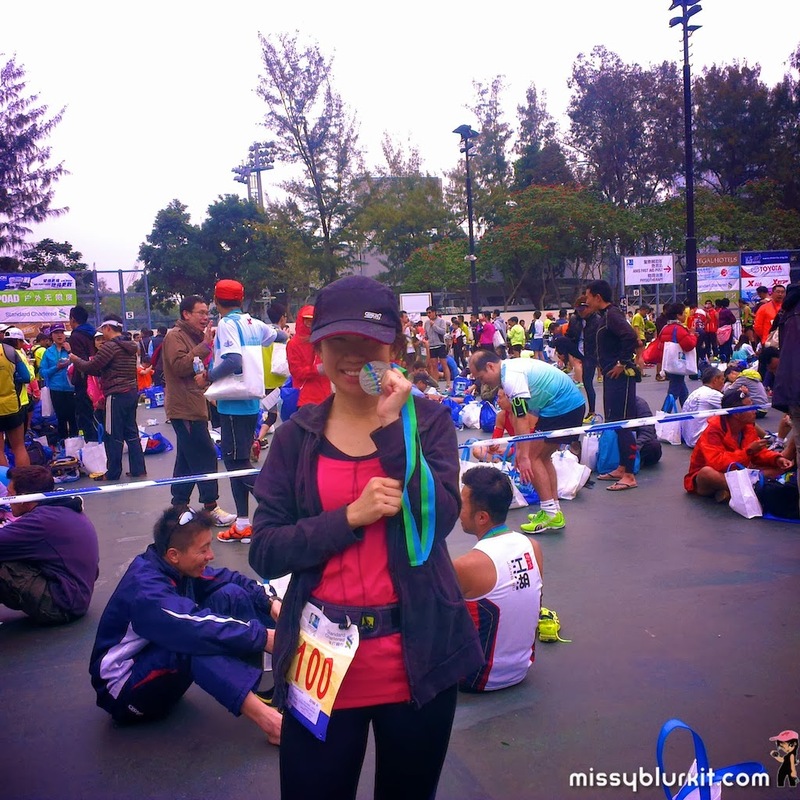 That's me Evelyn from Malaysia with an official time of 4:44:21 and net time of 4:42:25. Bettered the time of my "first" marathon (River Jungle Marathon) last year of 5:26 (no tiing chip for this run so one could just take their own sweet time for this LSD). Honestly I am elated because I flew in to run with only a target of bettering my run by 20 minutes. Shaving off 44 minutes wasn't even on my mind. 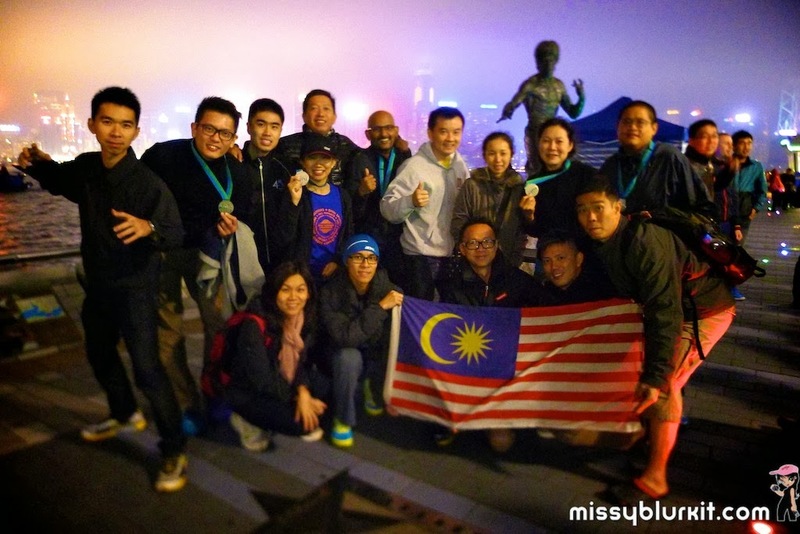 A proud moment with my fellow Malaysian runners at the Avenue of Stars. For those who think that you are too old to start running or unfit, trust me its never too late to start. I picked up running on a more serious note only in December 2012 (when I was 39 years old). 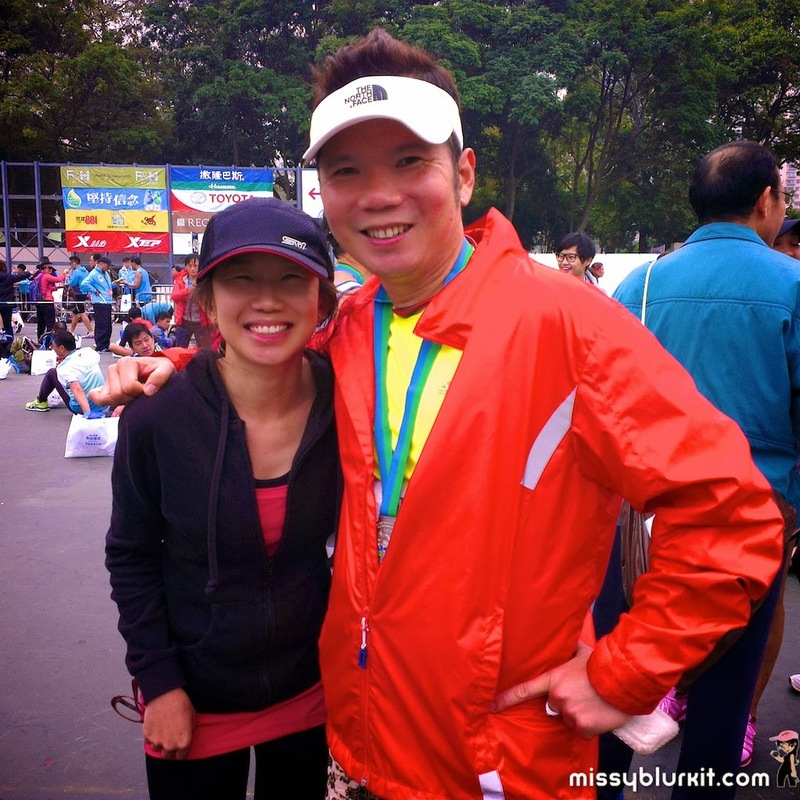 Took my time to train up by running with a running community (I run with TPRC). Running is fun as a hobby and its also good for your health. 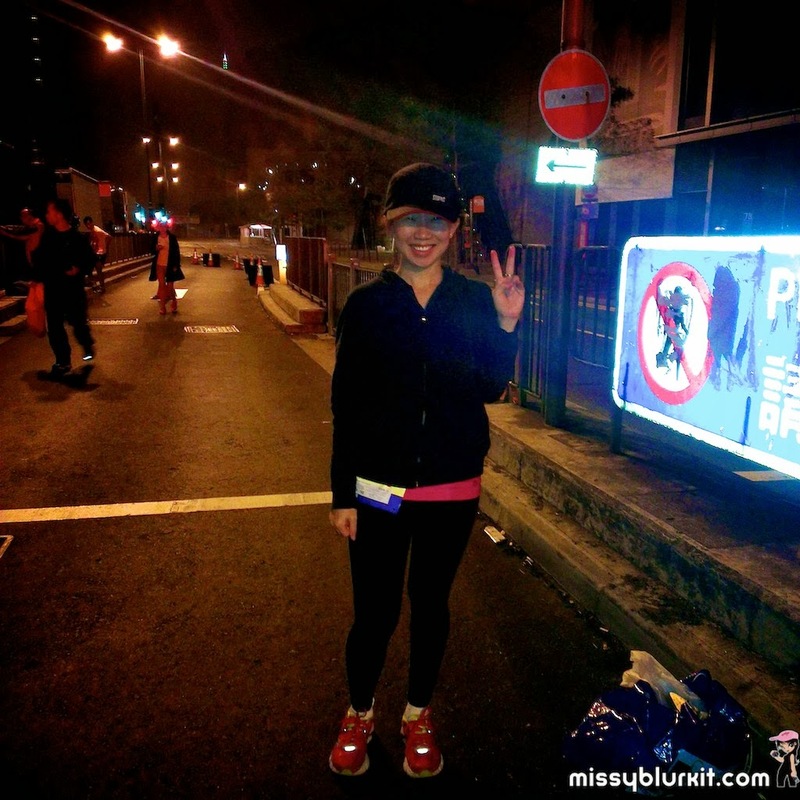 Cheers to more runs and if you want to know more about TPRC or join us for a run, drop me a mail! More pics in the Facebook album SCHKM2014. 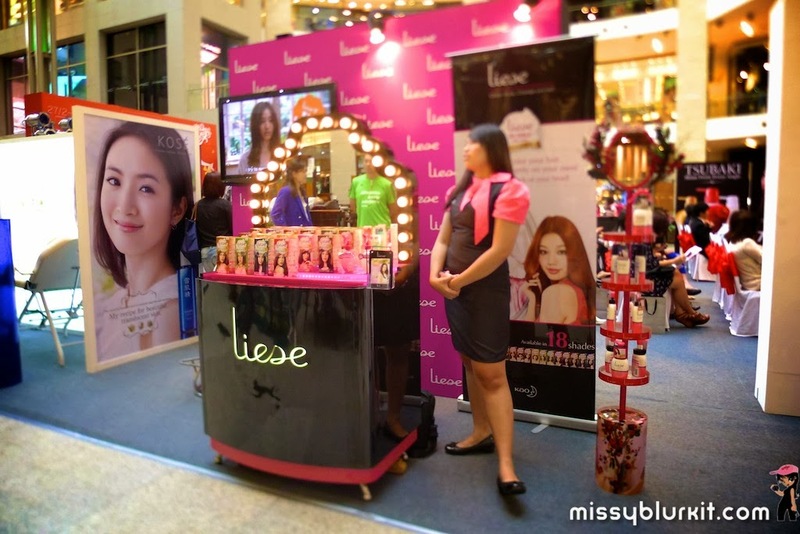 Will be coming up with 2 more post next week on my makan and shopping session in Hong Kong.